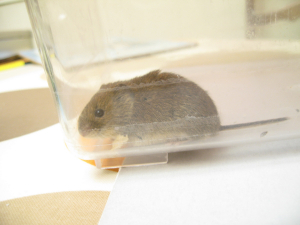 Observation - Bank Vole in kitchen - UK and Ireland. Description: Bank Voles seem to like our kitchen, especially when there is snow outside and left-over Christmas cake inside! Bank Voles seem to like our kitchen, especially when there is snow outside and left-over Christmas cake inside!